I guess we might have a new segment here. People send me their questions through Instagram and then I bring it to you guys for your infinite diecast wisdom. 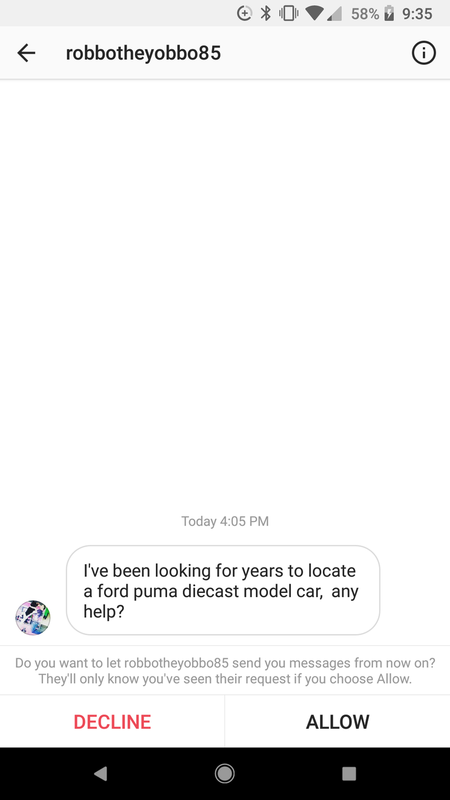 Robbotheyobbo85 has been trying to track down a Ford Puma diecast. I found a couple expensive 1/43's on eBay, but I’m sure we can do better than that. Whats out there for this guy to find?